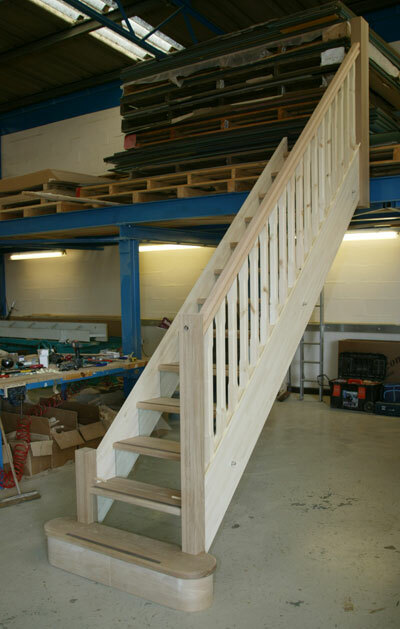 The Priya Staircase :- On this page you can see some photo's of a recent staircase we have made with Glass Risers. The strings are in a 40mm engineered material because of the weight. 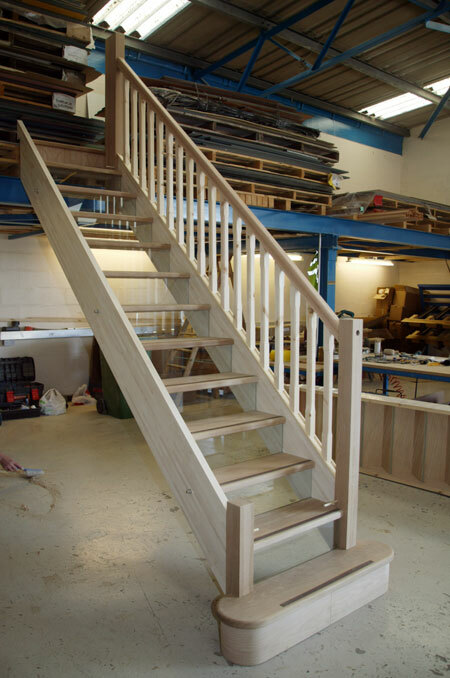 All the parts in oak are planned on being stained and all the other timbers are to be painted. 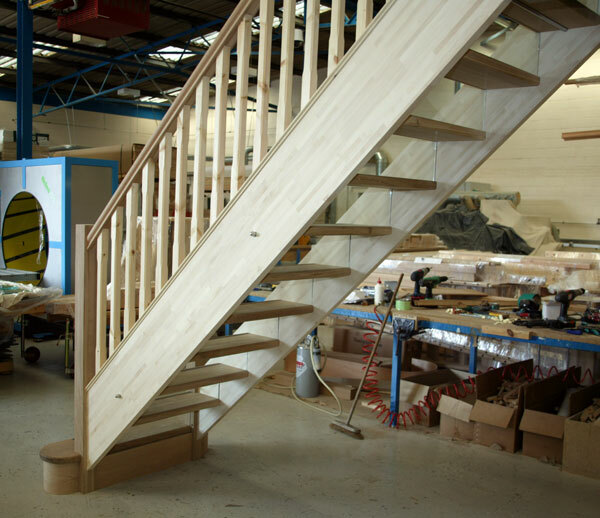 Glass Risers - are an alternative on openplan staircases. 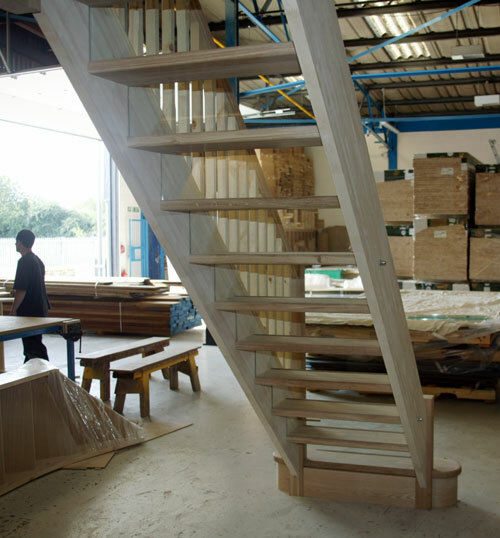 The Priya staircase is another choice in the ever growing range of contemporary styled staircases we can offer.